Want to make a genuine gesture with flowers and a teddy bear? 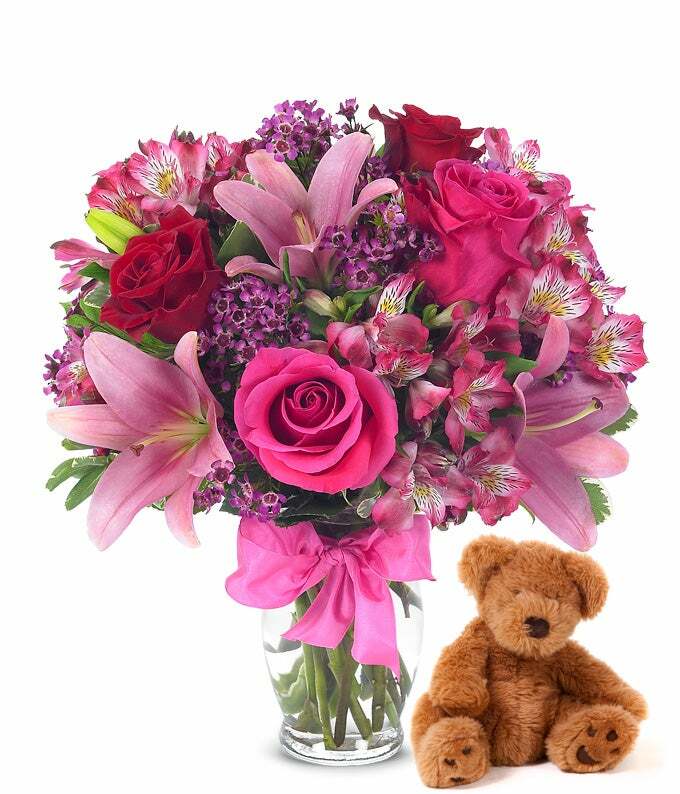 Look no further than than this flower and teddy bear bundle. It makes a perfect thinking of you, I love you, congratulations, get well soon gift, and more! To top it all off is a pretty pink bow. Make your recipient smile today with our Rose & Lily Celebration with Bear!